This event will sell out. Seating is limited. $25 Per Person. January 3, 2019. Let us know your choice of entrée (tri-tip or fish) and note “Online Ticket Purchase – National Commander’s Dinner” in the message. 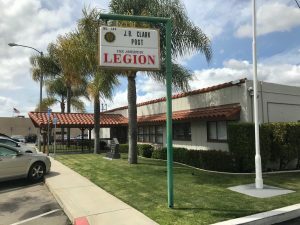 Or mail a check, payable to American Legion Post 149, at the address below. 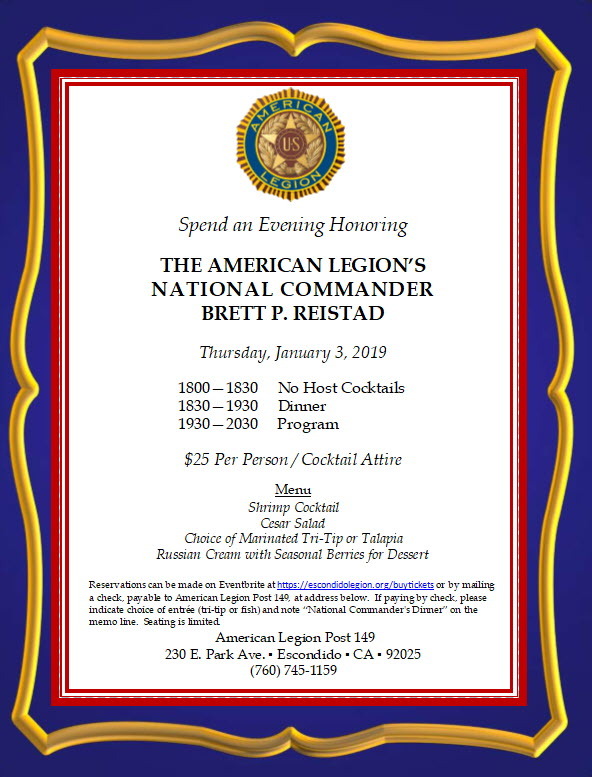 If paying by check, please indicate choice of entrée (tri-tip or fish) and note “National Commander’s Dinner” on the memo line.